It’s for the kids. Youth sports are supposed to be fun. Life lessons are learned through youth sports. Everyone knows the right words. The problem is, you don’t always see these truths being applied. In fact, as each year passes and competition levels in youth sports rise, these words are becoming empty rhetoric. What was once a natural way for kids to gain life lessons and experiences via the neighborhood pickup game has been replaced by highly organized, result-oriented leagues. Overly-high expectations of very young kids are becoming the norm. Because of specialization and professionalism, burnouts and over-use injuries are on the rise and kids are dropping out of organized sports in record numbers. Seventy percent of kids are quitting by age 13. I know many parents who are devastated that their child no longer wants to live out their parent’s dreams. Yes, we all want the best for our kids, but it’s easy to lose track of what our child wants, and instead impose our own ambitions at the expense of our child’s enjoyment. It’s easy to get ahead of ourselves by focusing on the future instead of just enjoying every moment of our kids sports experience now. If we would just let them develop based on their own interest level and true abilities, things would be different. It’s the responsibility of parents and coaches to educate themselves about what it takes to integrate proper training technique with having fun. Finding this balance is the key to success in youth sports. If this is accomplished, kids will start to realize their full potential because they are enjoying the process. They will be able to see and follow their honest path whether it is in sports or some other activity. When a young athlete ceases to enjoy the process, it’s the beginning of the end of their sports journey. 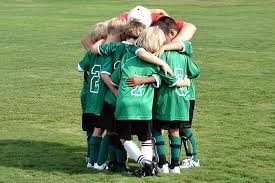 The purpose of youth sports should be as much about learning sustainable life lessons as it is about winning games. In the past, more kids had small jobs, such as a paper route where they could learn valuable lessons about responsibility, respect, self-discipline, accountability, and teamwork. I, along with many kids in America, worked on the family farm. But these life enriching opportunities are less now and we have become a more “entitled” society. Because of this, many kids today do not possess the life skills that their earlier counterparts developed at a young age. Therefore, I believe the main focus of youth sports should be to teach all kids how to win by using these life skills, not by just recruiting the best players. Let’s leave that to the pros. Sadly, when winning takes center stage in youth sports, many kids eventually lose their love for the game. This is because their skill level typically does not measure up to the pressure being imposed on them by adults. Our goal in youth sports should not be to produce college or professional athletes, but to nurture kids in the way of personal character, skill development and physical fitness. Ironically, if youth sports were approached this way, more kids would have a chance of reaching these very high goals, simply because they would retain their love for sports, and not quit. Competition has a way of confusing the most rational of us. When our own ambitions and expectations get in the way of letting our children live out their once-in-a-lifetime experience of just being a kid, we have missed the real purpose of youth sports. Remember, this is not their job. But sports can and should serve as a learning experience for other areas of our children’s lives. If they drop out by age thirteen, this opportunity in sports is lost, and nothing can replace it.